**** On April 26th, a catastrophic fire ripped through a building housing a number of studios, including fellow swing dancer Erica Fielder's studio. http://www.ericafielderstudio.com. Fire, smoke, and water destroyed 30 years of her artwork, supplies, studio furnishings, and equipment. She needs to begin to create an adequate new studio and raise capital to rebuild her business. You can help support Erica in this process at: https://www.gofundme.com/erica-fielder-art-studio-fire-fund. **** Thank you to everyone who came out for the J&B workshop. Because of you, the workshop was a resounding success, but more importantly, we will all benefit from the new skills each one of us learned, which enhance and help build our Lindy community. Also, special thanks to Craig and Bonnie for a tremendous job making this happen. We will be looking into hopefully having another workshop six months from now with other awesome instructors and also getting Jean and Bromley (and Avery) back next year. Please use the contact form below, to send us feedback about the workshop, e.g. suggestions, ideas, complaints, etc. We welcome all feedback! **** A Special thanks to Jerry who did a excellent job DJ-ing our Friday Night Swing Dance. We would love to have him back and hopefully for special dance parties. Please use the contact form below to send us suggestions, ideas, complaints, etc. 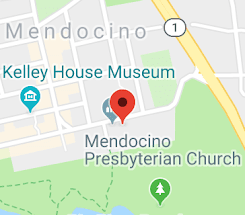 Also, if you would like to share any pictures, videos or anything you or others might like to see on this site, please send it to info@mendocinolindyhop.org. Bookmark this site in order to visit whenever you feel the urge.